Iris is an established Housing and Employment Law specialist, with a particular interest in discrimination law, including disability discrimination law. She is listed in both the Legal 500 and Chambers UK for her employment work, and in the Legal 500 for her housing work. Solicitors say that “she is outstanding and has an excellent manner with clients” (Legal 500 2018). They also say that she “can be dropped in at the deep end at the last minute and come out on top”, and that she is “extremely professional and gives clear, reasoned advice” (Chambers UK 2018). Iris has been a Housing specialist throughout her time at the Bar, ever since she completed her pupillage in Housing law in 2006. She deals with all aspects of Housing law, and is particularly experienced in dealing with complex anti-social behaviour cases, including mental health issues, on behalf of both landlords and tenants. 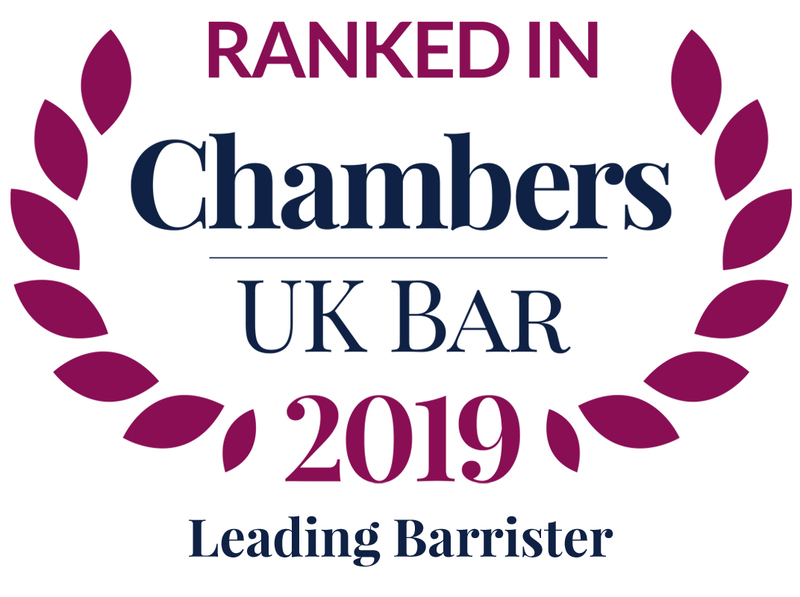 She is particularly good at dealing with vulnerable clients and witnesses, and managing the complex legal arguments involved in Equality Act and Human Rights cases. Her expertise in discrimination law generally (including her employment law practice) makes her particularly adept at handling Equality Act defences. Iris has extensive experience of homelessness litigation, including s204 appeals in the County Court, judicial review in the High Court, and appeals to the Court of Appeal. She regularly trains local authorities on homelessness law and procedure. Iris also delivers very popular workshops in Chambers, and in-house, on all aspects of Housing litigation, and writes regularly for 42BR’s Housing Bulletin. Iris conducts the full range of Employment Tribunal work, acting regularly for both employees and employers. She has represented claimants in many different types of case, from simple unfair dismissal claims, to complex, multi-day trials involving a variety of different legal claims. She also works with a wide range of employers, from public sector employers and national companies with thousands of employees, to small businesses and individuals. As a barrister who spends much of her working time in the Employment Tribunal, Iris is familiar with the way the system works, and can advise clients not only on the legal issues in their dispute, but also on practicalities and litigation tactics. She undertakes drafting and advisory work in all aspects of Employment Law. Iris provides regular training to solicitors and companies: both seminars on current legal issues, and practical workshops on employee management and litigation. She is a regular contributor to 42BR’s Employment Newsletter. Iris has recently been dealing with a number of homelessness cases involving vulnerability and out-of-borough placements. She is currently involved in an appeal to the Court of Appeal on the question of whether a local authority can reconsider a homelessness decision before a local connection referral has been resolved. Iris also continues to be instructed by the majority of the claimants in the ongoing litigation against the liquidators of the charity Kids Company, which is currently in the Employment Appeal Tribunal. Iris regularly acts for both employees and employers. She has represented claimants in many different types of case, from simple unfair dismissal claims, to complex, multi-day trials involving a variety of different legal claims. Iris also works with a wide range of employer respondents, from public sector employers and national companies with thousands of employees, to small businesses and individual employers. Knowledgeable employment law barrister who specialises in disability discrimination claims. She acts for both employers and employees in the public and private sectors.